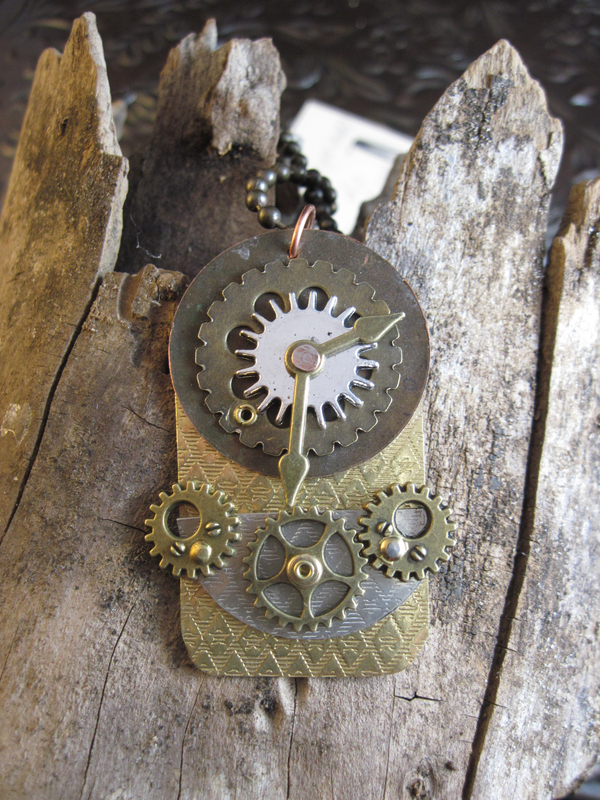 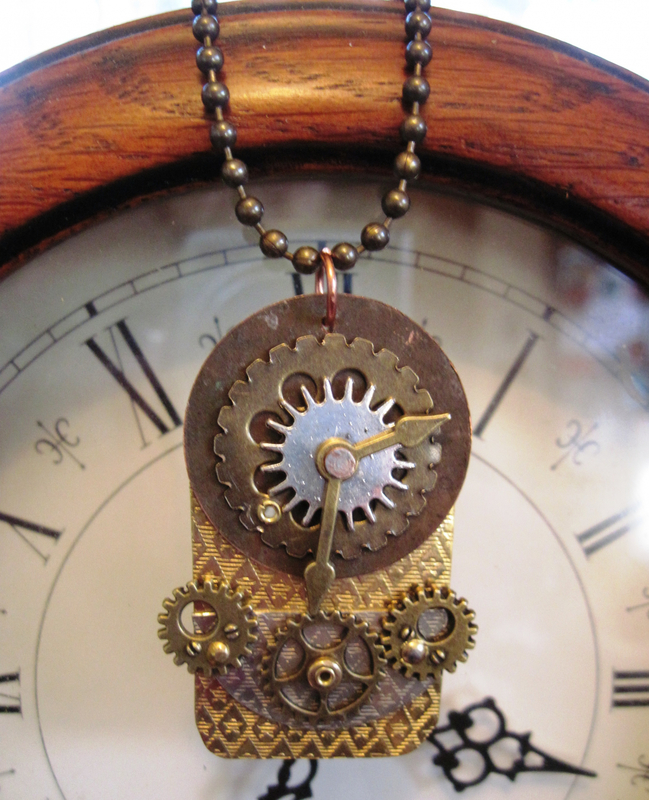 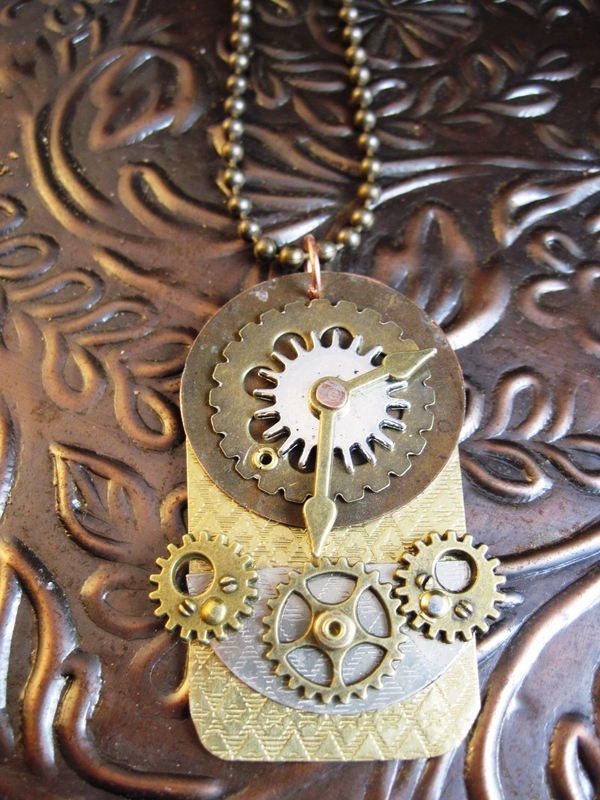 Five gears have been cold connected to sheet metal to make this one of a kind steampunk pendant. 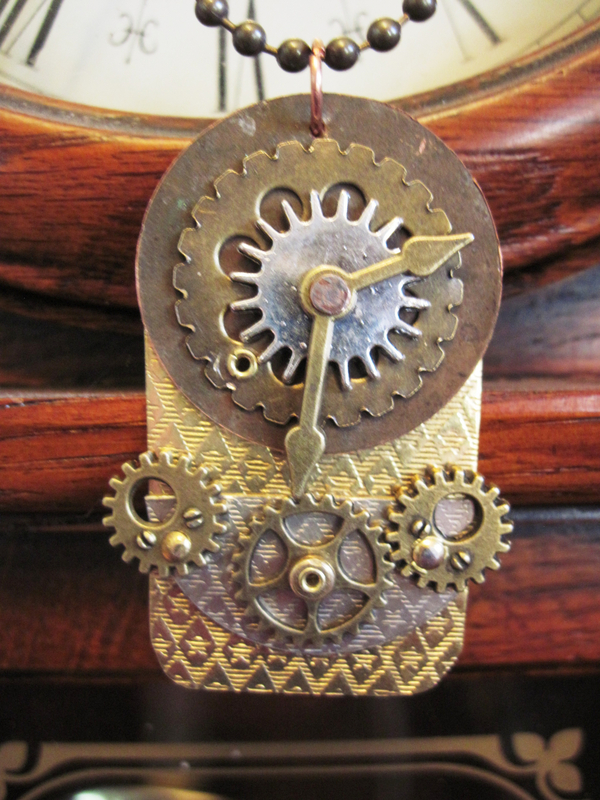 The top "clock section" consists of a piece of recycled copper that is about an inch and a quarter across with two gears and some hands cold connected to it . 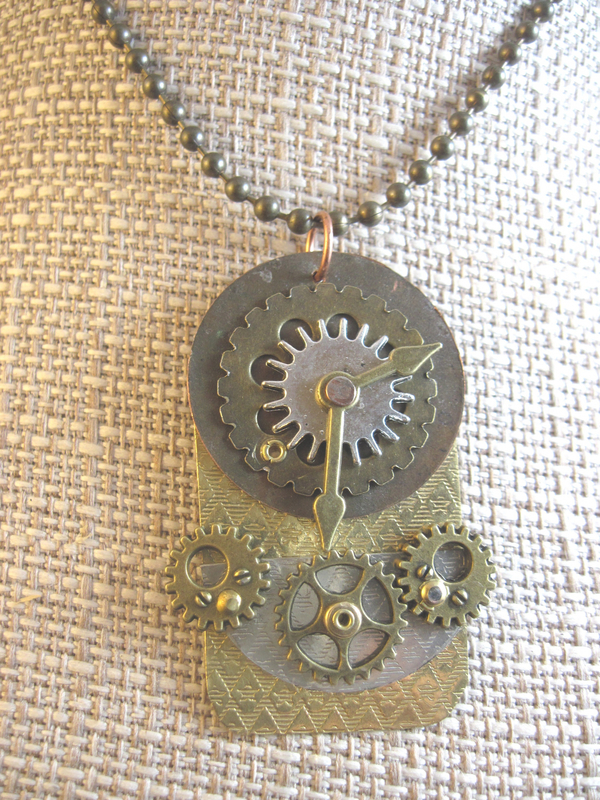 Below the "face" is another component of three gears cold connected to a piece of textured German silver. 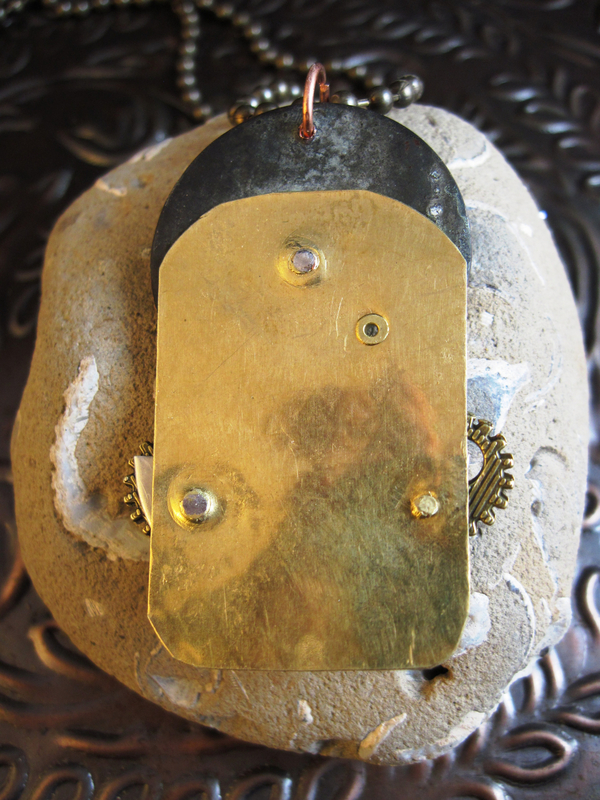 Both these sections are connected to a textured piece of brass. 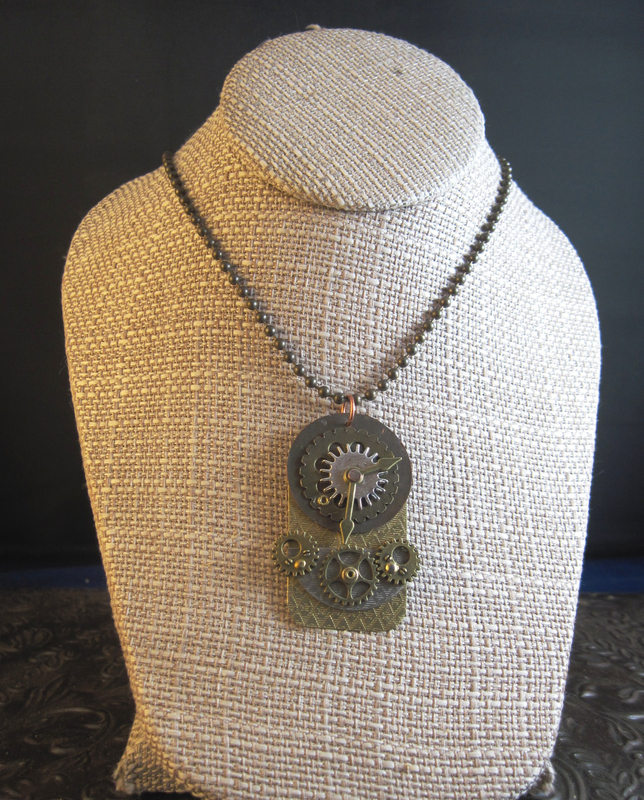 The length of the pendant is about two and a quarter inches long by one and quarter inches wide. 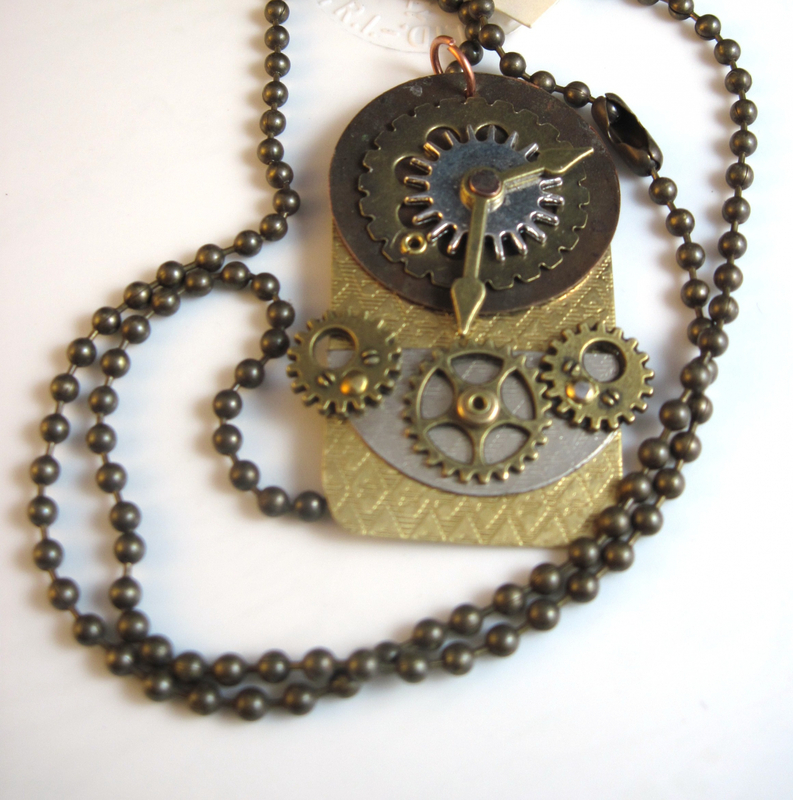 The pendant hangs from an antiqued brass ball chain in a length of your choice.